DMG File Explorer Software is designed to open, read and explore DMG file on Windows operating system. Users can view DMG files of Mac OS X on Windows without any hassle. 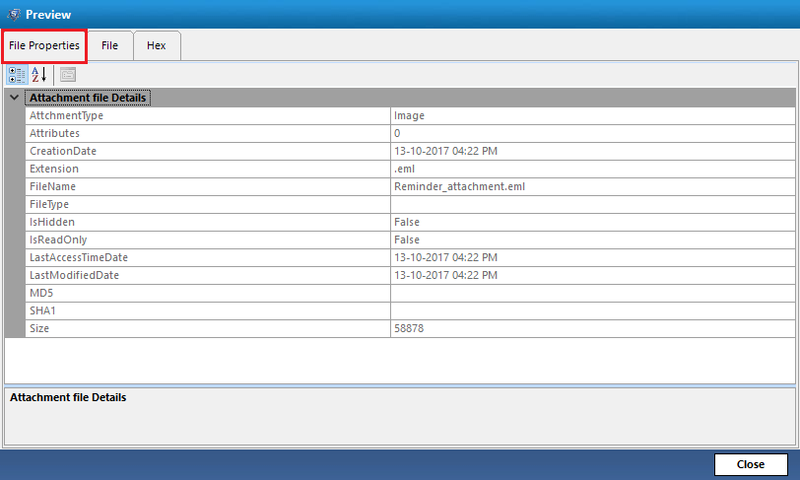 The email files like EML, EMLX, Images can be viewed by DMG Viewer tool. The DMG Viewer tool supports all editions of Windows operating systems namely, Windows XP, Windows Vista, Window 7, Windows 8, Windows 8.1, Windows 10 etc. to open Mac .dmg files. The Windows DMG File Explorer Software is designed to open and read emails from Mac DMG. These files can be viewed in Windows Operating system. Users can view the data in EML, MBOX or EMLX formats using this software. The users can filter the file types to read DMG file on Windows by selecting required file format from chosen DMG file. Windows DMG Explorer provides ‘Open’ option to add multiple DMG files. This utility helps to open Mac .dmg files in Windows OS easily. The software DMG Viewer Tool displays a hierarchical file structure arranged in the panel of software. 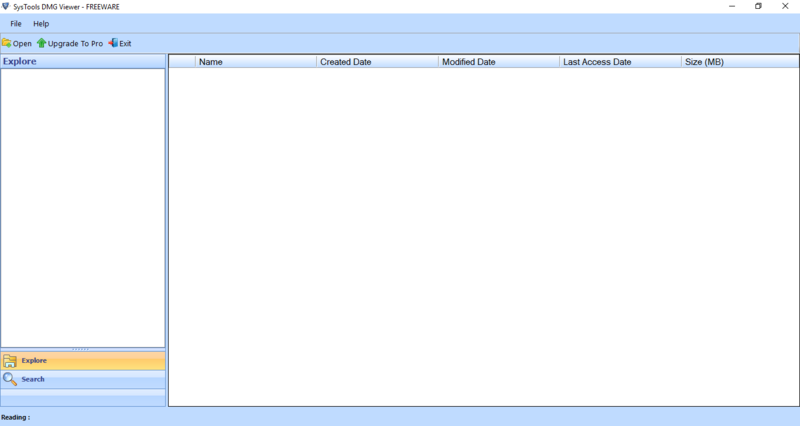 Once the file or folder has been chosen, a preview is displayed such as Name, Size, Last Access Date, etc. The Mac DMG Reader utility allows searching for specific file types (attachment file) from the selected folder using File Properties tab. 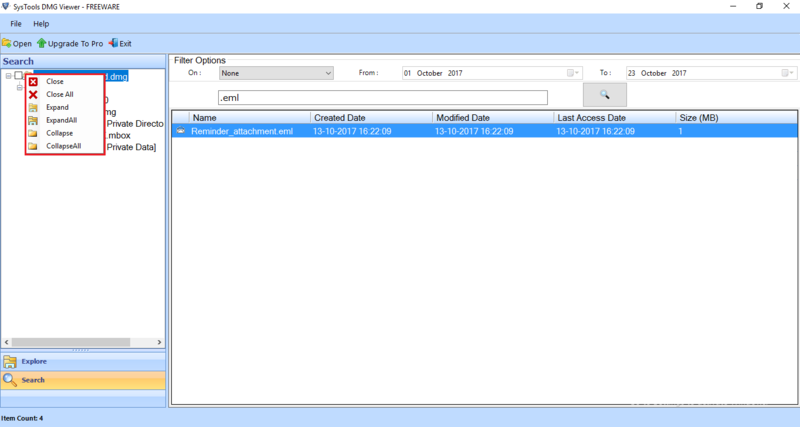 It is easy to filter out Attachment type, Creation date, extensions like EML etc. using this feature to open DMG file. Apart from other interesting features in DMG File Explorer software, this option is also useful when users want specific data. 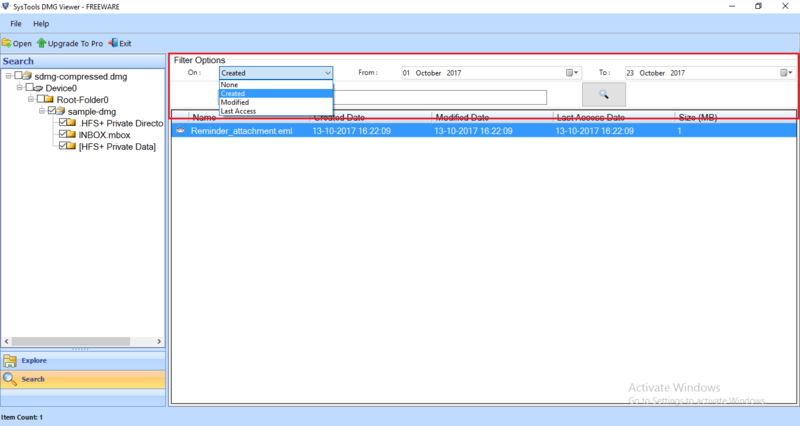 By using this option, it is easy to pick only the selected emails falling under a certain date range. Users need to give date range using “From” to "To" fields. Users can click on “Preview” link available on the DMG Viewer tool, which is corresponding to every email. This is used to view the messaged in different views. This includes the file properties, File Preview & Hex View Tab. Step 2 : Now, click on "Open" button to choose single / multiple DMG file, read-only or compressed files. Step 3 : Opening a .dmg file according to the users need. Step 5 : Now read .dmg file properties if the file is chosen using various tab given like, File Properties, File, Hex. Step 6 : Preview attachment files like images etc. 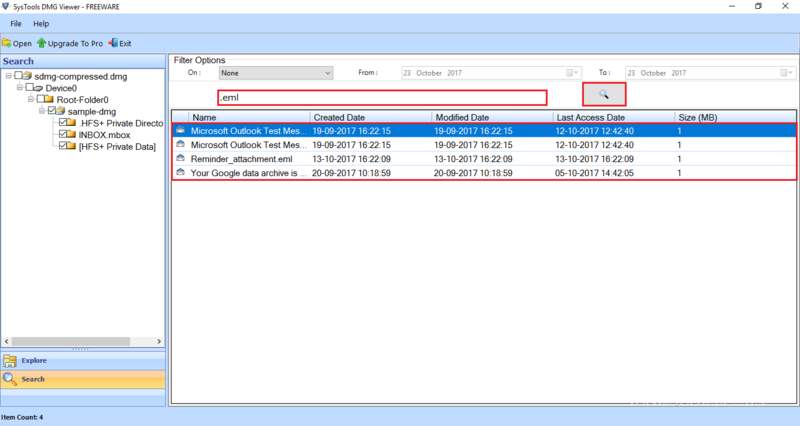 of selected emails (in .dmg file format) in File tab. 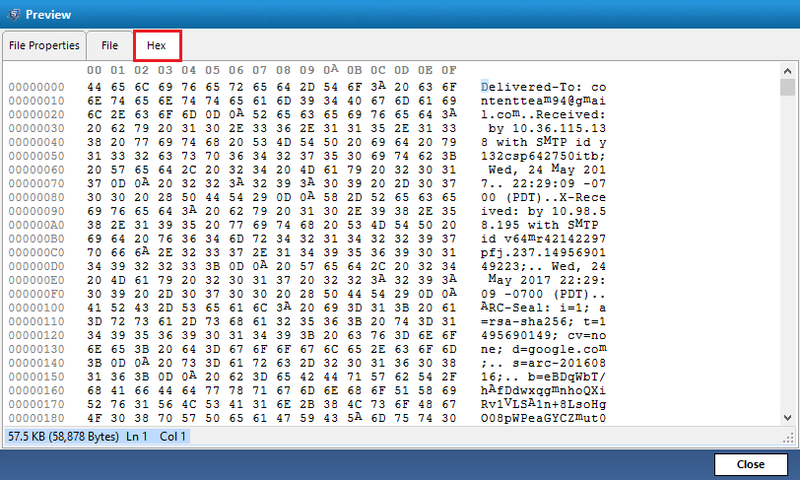 Step 7 : Also view the Hex format of the selected DMG file content. Step 8 : Now, click on Search option, to find various files. For example type EML file extension to view .eml files. 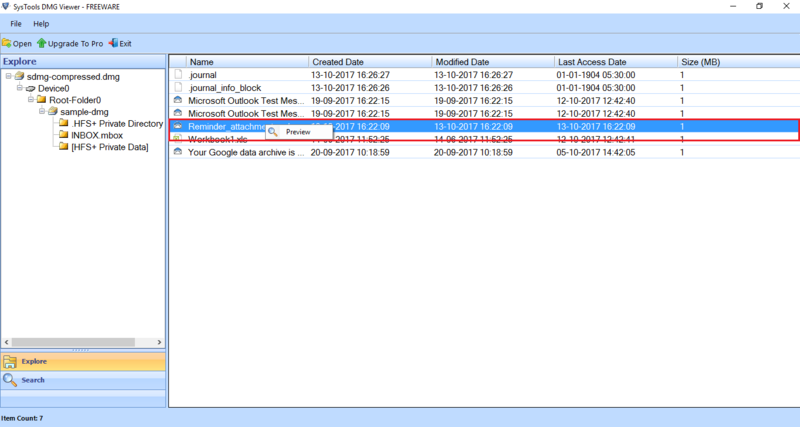 Step 9 : Apply filter option to filter the DMG files according to Created, Modified, Last Accessed date for reading DMG files on Windows OS. Step 10 : Right-click on selected DMG file to Close, Expand & Collapse all files. Q. Is it possible to choose an entire folder at a time to read DMG file? Ans: Yes, it is very easy to pick all the available folders to explore and read DMG files on Windows with the help of this utility. Q. Can I explore DMG File using DMG Opener Free version? Ans: Yes, DMG Viewer tool will help to open and view DMG files along with the attachment files without any hassle. Q. Whether I can extract and save DMG File using DMG Explorer application? Ans: No, you need to download full version of DMG File Viewer to export and store the DMG files. Q. 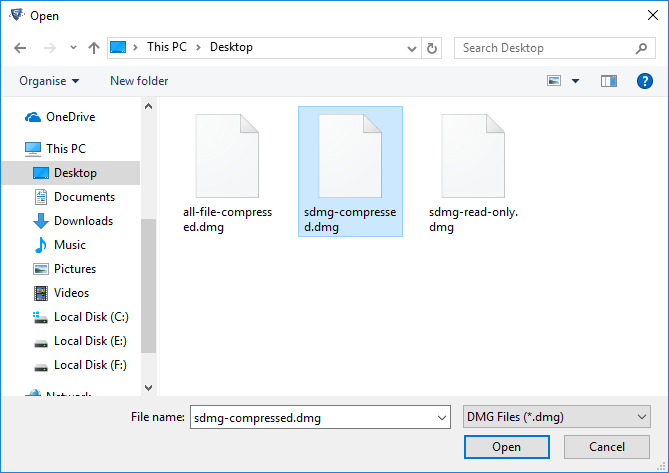 Can DMG File Reader view and open compressed files? Ans: Yes, of course. You can even view and open DMG file that is in read-only or compressed format. Q. Can I search a particular file type from within a large DMG file? Ans: Yes, it is very easy with this DMG Viewer tool to search for a particular file type including EML files and to read them. Note: DMG File Viewer Software will get delivered on your registered email id, within few minutes after placing the order. 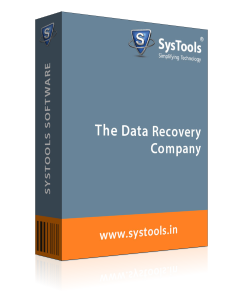 DMG File Explorer is the great tool when it comes to explore DMG files data. It helped in a very problematic situation when I had to read DMG file on Windows in bulk. I searched for the particular file type and read that. It would have taken more than a day if I had done it without this software. I want to convey my regards to the entire team behind this highly advance thinking. Manually it was very tough to browse and view DMG files and read them on a Windows machine. I was very lucky that I found this DMG Viewer Tool. The interface of the program with this advance algorithms is very simple. I have explored .dmg data easily. I will use the Windows DMG File Explorer software to view Mac OS X files whenever required in the future. Moreover, I would like to recommend the utility to everyone out there to view and open DMG file.